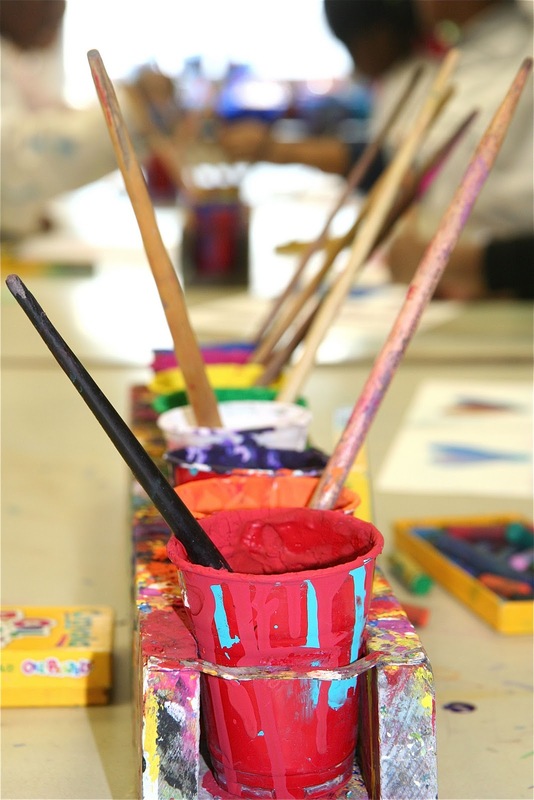 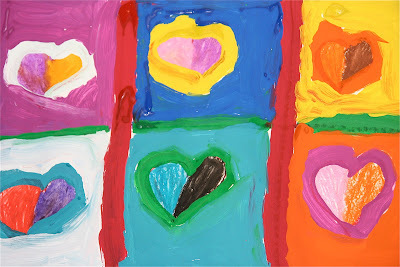 I love this art lesson so much that I do it every year - and that's rare that I repeat a lesson year after year. 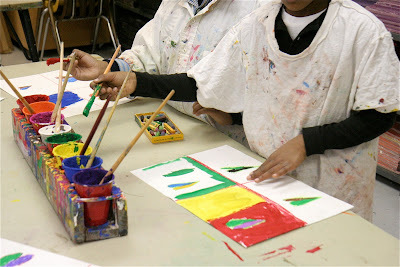 It is such an easy lesson with great results! 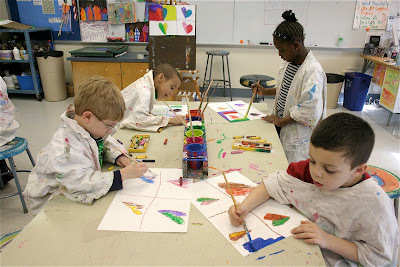 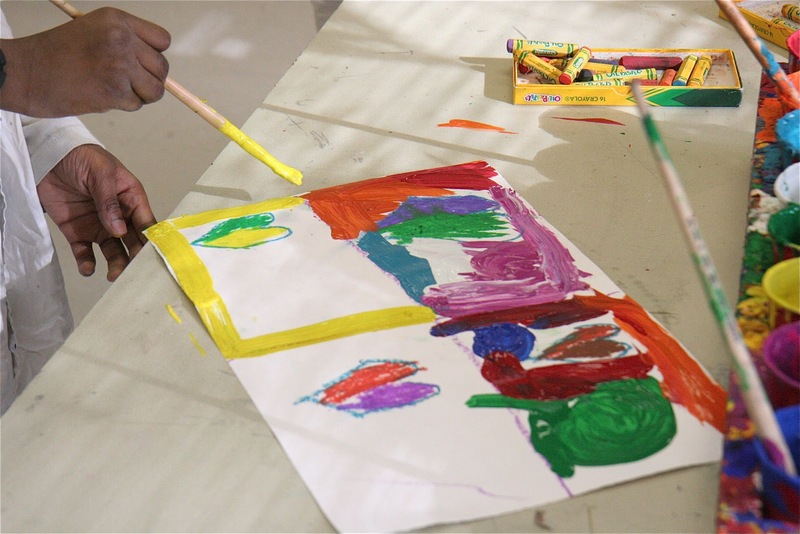 I love teaching the kids that art doesn't have to be complicated in order for it to be successful. Jim Dine used such simple subjects in his paintings and focused on the exploration of color, instead of complicated subject matter. 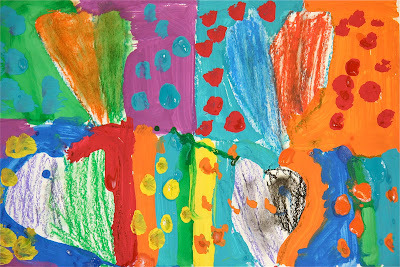 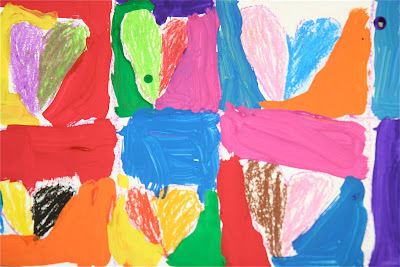 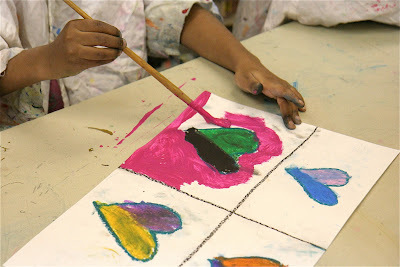 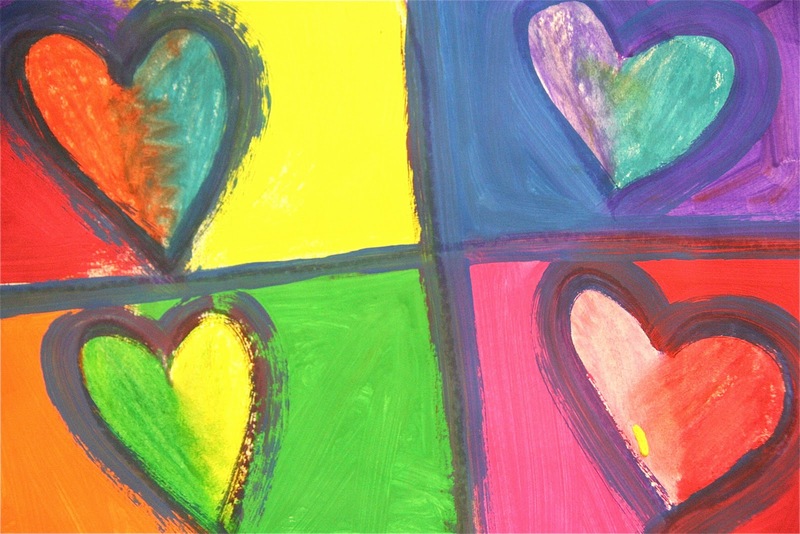 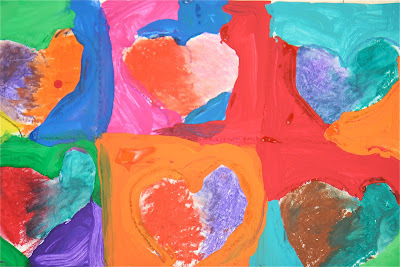 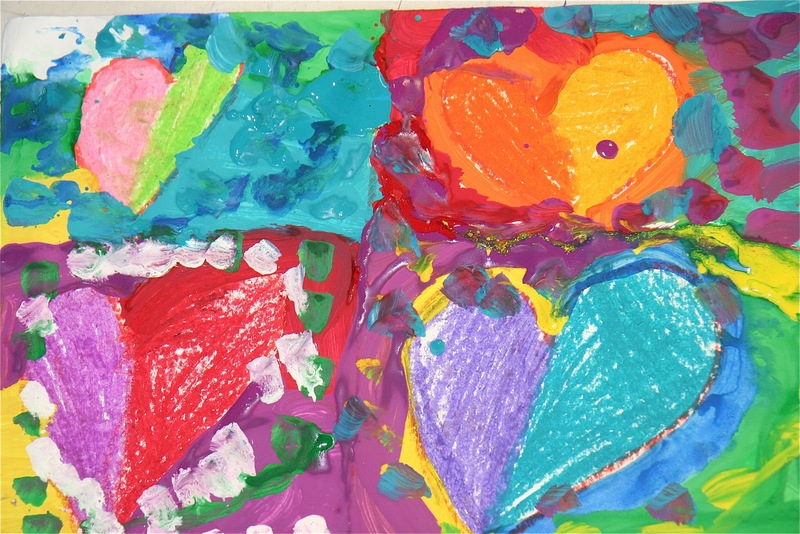 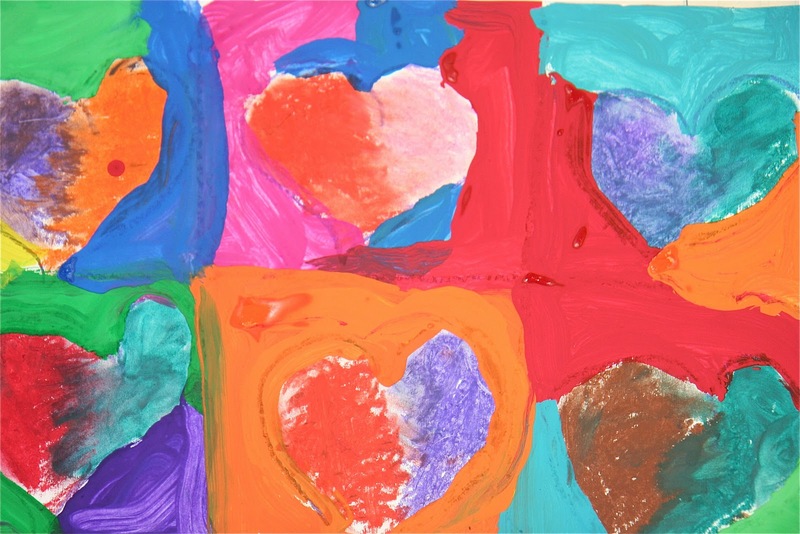 We used oil pastels to make the hearts, focusing on mixing the colors together in the middle of the heart and tempera paints for the background.